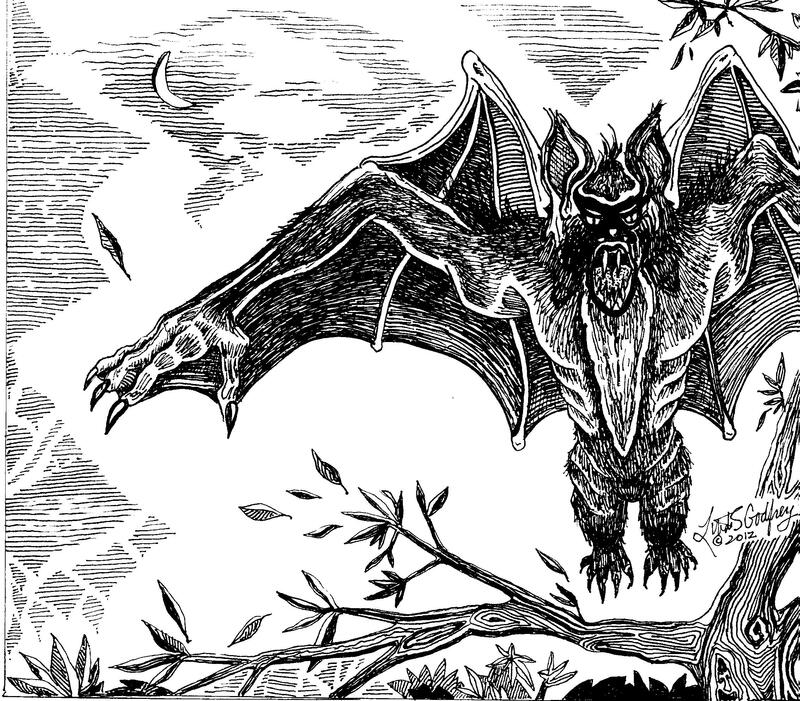 Ken Gerhard has a new, as yet unnamed book coming next year on the subject of Mothman, Man Bat and other flying fearsomes. He asked me to create a new illustration for it and said I could post as a sneak preview. For more on the book you must ask Ken. All I know is I want a copy!